The York County History Center is the foremost storyteller of York County’s diverse past that spans almost 300 years. In order for the History Center to help visitors effectively immerse themselves in York County’s diverse and memorable past, the History Center’s Interpretive Division utilizes all of the organization’s assets. It is the duty of the Collections Department to care for and exhibit of approximately 90,000 artifacts which comprise exceptional collections of everything from Decorative Arts to Military to Quilts & Coverlets to Industrial and much more. The Collections Department strives to have stories from every major era on exhibit. When you visit the sites of the History Center, you can step back in time while visiting the Colonial Complex or learn about York County’s entrepreneurial and industrial spirit at the Agricultural and Industrial Museum. For an exceptional overview of all of York County’s history, do not miss the Historical Society Museum Library & Archives. York County has produced many artists from the internationally famous to the lesser known “local” artists. Their works and personal connections to place provide a powerful window into York County’s past and present. 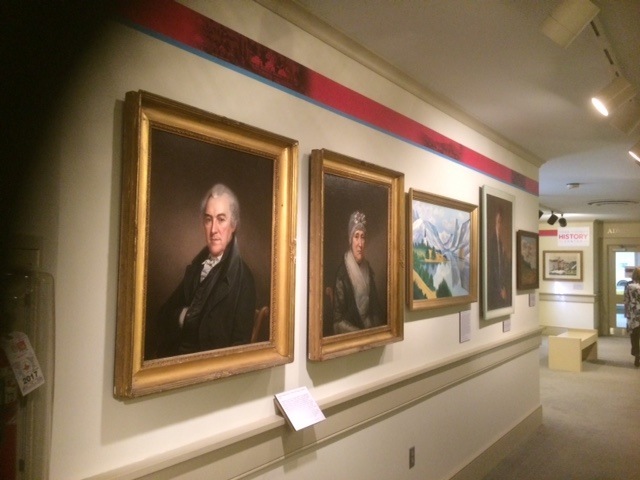 Our Artists Our Stories features art pieces from the York County History Center’s collection either not previously or recently exhibited. The exhibit features works from various periods and genres, and includes formally trained to self-taught artists. The current rotation features artists Marian Canfield Wright, Brett Greiman, Margaret Sarah Lewis, Walter C. Trout, and Elizabeth Malone Russell. The History Center is pleased to partner and collaborate with CreativeYork to provide art themed programming, and thanks CreativeYork for sharing their expertise. Our Artists Our Stories and related programming is funded by the Cultural Alliance of York County. 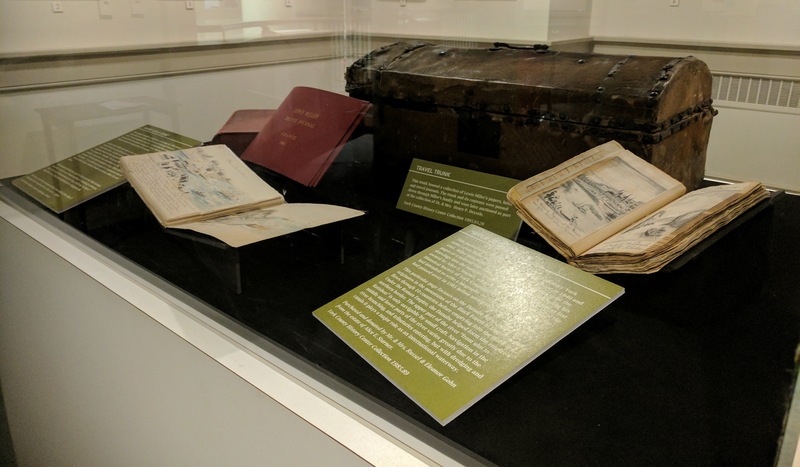 The Lewis Miller gallery has been updated with a rotation of 16 new original Lewis Miller sketches focusing on Miller’s European travels during the mid-1800s. Lewis “Loui” Miller (1796-1882) was born and lived most of his life in York, Pennsylvania. Though a carpenter by trade, he is remembered today as a folk artist. His sketches chronicle historical events, his travels in America and abroad, and the lives of ordinary people. The History Center maintains a collection of more than 2,000 original Lewis Miller sketches.